A few weeks ago, on November 6th, 2017, The Boston Red Sox Introduced their 47th manager (and former player) who helped the team win a World Series Title in 2007, Alex Cora. He just wrapped up winning a world series title the Houston Astro’s just a few days before this induction ceremony, so there was quite a bit of excitement and enthusiasm brewing here in Boston about what’s to come. Everyone here in Boston knows the Sox have a great group of young players, but having choked twice in a row in the playoffs, unfortunately getting swept TWICE, a change had to be made. And that always falls on the coach. Some people chalked it up to the former manager, John Farrell, not being able to connect with the players, making the right decisions, while others have blamed the players for not being able to handle the pressure that comes with the playoffs. Some people even believe the lack of a clutch, heavy-hitting veteran in the mix like, David Ortiz, is the culprit. Hell, some people blame the front office for having unrealistic expectations and forcing pressure on everyone from the coaches, to the players and ultimately causing them not to perform. Either way, the introduction of Alex Cora on November 6th, marked our calendars and sent a strong message to the fans of the team. And when it comes to sports marketing, it was also a time to readjust. 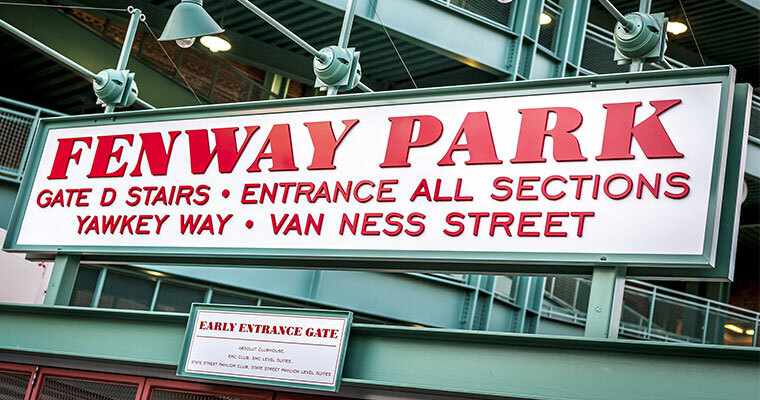 It’s always a tough job selling a losing team, but at Inphantry, we began to wonder…..how will they make us fall in love with the Red Sox all over again? The past several years have all been about getting fans excited for the young, raw talent the Red Sox have brought up from their farm system, but here in Boston, it’s really a, ‘World Series or Bust,’ type environment. And year after year, our hopes and dreams live and die with the Red Sox winning and losing, so how would they get our hopes up this time? Will it be the signing of free agents like Chris Sale, Giancarlo Stanton, or Carlos Santana? Maybe. But the real answer lays in the hands of those in charge of sports marketing. And it always has. Let’s dive in. Most people think sports marketing can be summed up relatively simply. If the team’s good, the fans are interested and buy tickets, and while that’s true, there’s more to it than that. Plain and simple, sports marketing is about providing unique experiences you can’t get anywhere else, and the 21st century is ensuring that can happen wherever you are. We all know billboards, TV ads, radio spots, and in-person fan experiences bring sports spectacles to our eyes and ears, but it’s the fan moments that truly matter. Whether it was watching David Ortiz and Manny Ramirez hit back-to-back home runs in Game 1 of the 2004 World Series, or seeing Tom Brady drive home a 4th Quarter game-winning touchdown drive with under two minutes to go in the playoffs, it’s defining moments in sports that turn us into fans of the game for life. But, how do you create fan interest if your team doesn’t have those defining moments, yet? 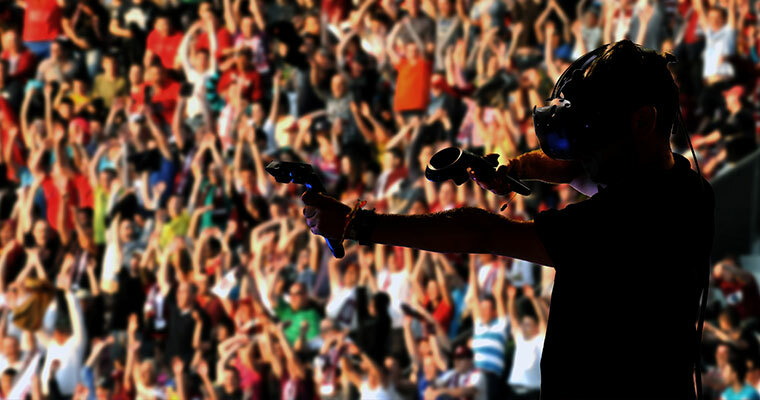 How do you create fans for life? It all has to do with the fan experience. Inside, and outside the game. The rise of technology has enabled some teams to do just that. Create moments that matter. Even if it’s just a regular season game, or even if your team is losing, or not too relevant in the standings. And with the rise of technology such as virtual reality (VR) everyday games can become defining moments that matter for every fan. Recent releases and advances in technology such as 360 video cameras, and software implementation by companies such as NextVR and more, has been able to bring fan experiences to a whole new level of immersion. From broadcasters experimenting with virtual reality in the 2016 Olympic Games, to the NBA, MLB, NHL, MLS rolling out special games being livestreamed in 360 VR, there’s no doubt about how this hot technology can easily drive fan engagement and interest to an all-time high, all from the comfort of their own home. And if you haven’t heard of 360-VR yet, it is a technology that allows fans to see their favorite teams up close and personal, as if they were in the front row, or in some cases, even on the field itself, and look around them, in a 360 degree panoramic view. All you need to do is download an app, strap your headset on, and get in the game. And with items like the Samsung Gear VR, Google Cardboard, Oculus Rift, and Google’s Daydream, the options are truly limited when it comes to next-level fan immersion in, and outside of the game. No wonder why marketers are using it inside and outside the stadium. Every marketer knows that fans, customers, clients, and consumers crave authentic ‘insider’ deals & experiences they can’t get elsewhere, so will sports marketing follow suit and offer such tangible events outside of the fan’s home as well? It’s kind of dependent on it, really. Fans need to be engaged by what they like IN and OUTSIDE of their home environment. And with most people getting blasted by an average of 300 ads a day (phone, mobile, TV, radio, and outdoor) it’s never been more important for brands, companies, and teams to ‘capture’ their audience, and there’s truly no better technology than virtual reality to do so. 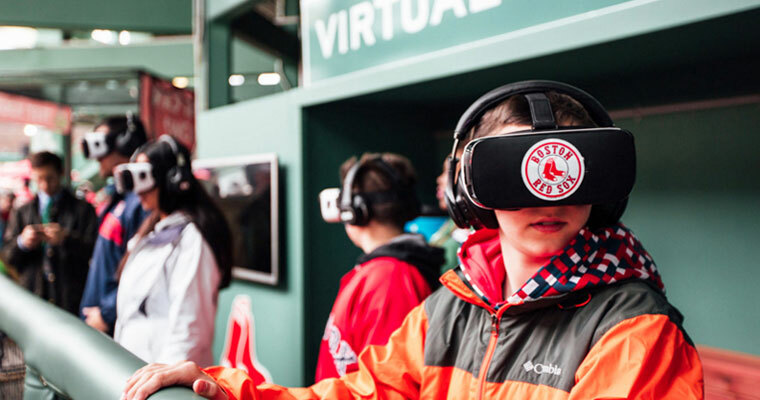 One of our favorite examples was the ‘ Virtual Reality Dugout’ experience they launched a year ago, and then followed-up with a ‘VR Batting Cage,’ experience that anyone could try. What was so impressive about it was it made complete and total sense. 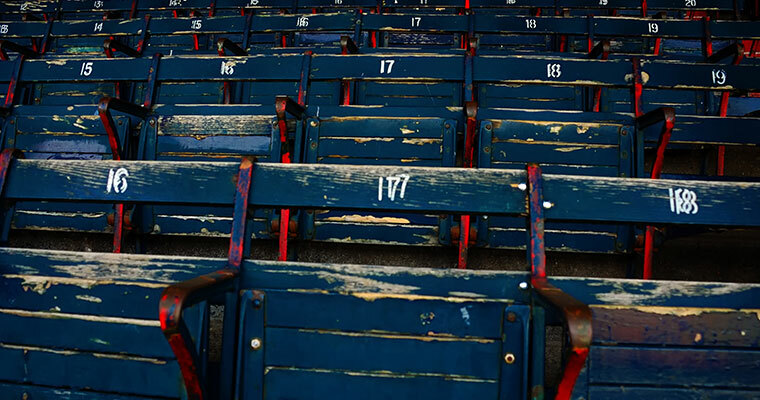 The Red Sox crafted an experiential marketing campaign based on engaging fans and getting them excited to be part of their history, moments, and gave them something to look forward to, and in terms of sports marketing, it was a top-notch move. Now, we’ve seen other examples like this (I mean, Kevin Durant signed with the Warriors after a VR sales pitch) but when it comes to sports marketing, immersion, and giving fans of all ages an experience like none other, the answer is experiential marketing, and with the power of virtual reality, anything will be possible. 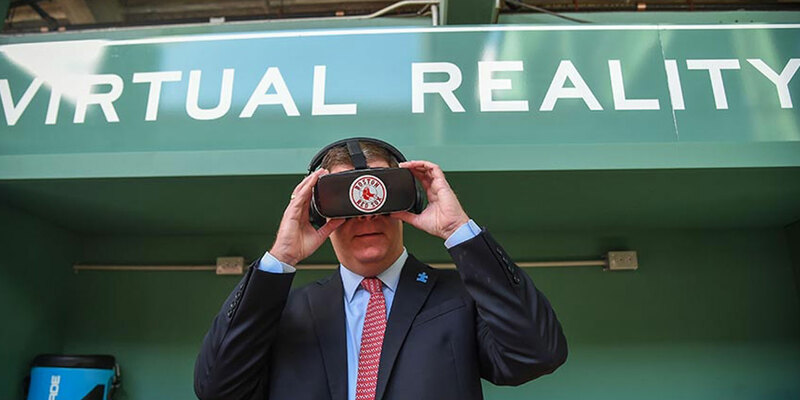 Now, will the Red Sox make us fall in love with them again this year just because of a few fan moments and VR headsets? Probably not, but with a tech oriented city who craves innovation and authentic experiences, storytelling is absolutely paramount and from our agency, we hope sports marketers continue using this amazing, emerging technology for the advancement of fan experiences everywhere. Are you an interest client who’s intrigued at the prospect of VR? Get ahold of us to find out more of what we can do –→ cam@inphantry.com // As always, follow us on Twitter. We’re always looking to build something new and are humbled by who we get to do it with. © 2019 INPHANTRY LLC. All Rights Reserved.